This week marks the fourth anniversary of Cathy’s In a Vase on Monday challenge, and to celebrate this milestone, today we are all finding something that is not a vase in which to arrange our flowers. 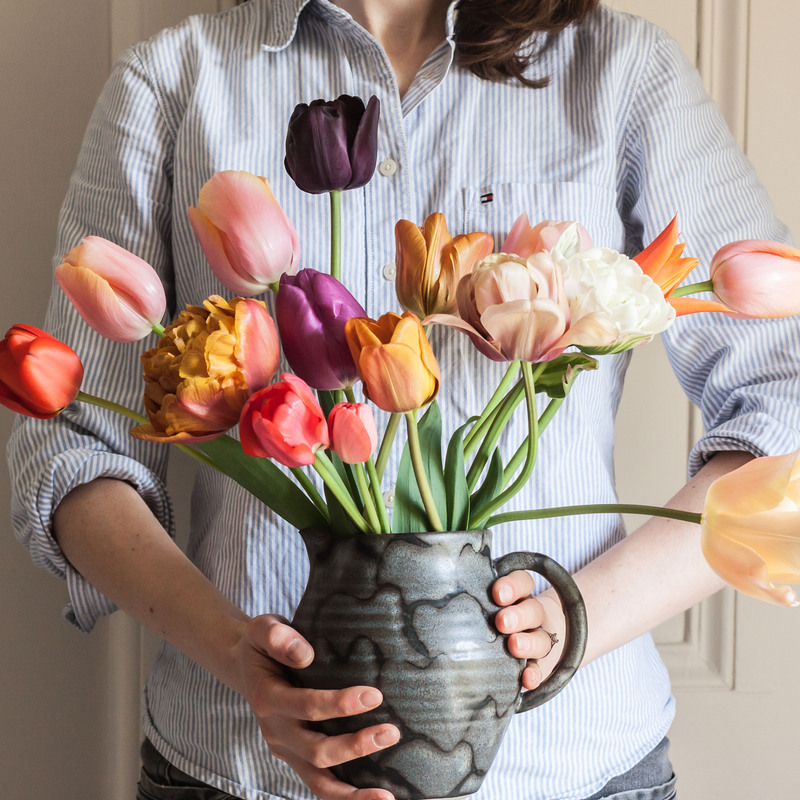 Any watertight receptacle counts as a vase in my view, but I think Cathy means objects that were not designed to be vases and I hope this inkpot falls into that category. The little rosebuds were the last buds on my ‘The Lady Gardener’ rose, which I lopped off before digging up said rose and moving it to the back garden, where I am hoping it is settling in nicely to its new home. Thank you to Cathy for inventing and hosting this wonderful challenge, which inspires so many of us across the world to bring beautiful garden flowers into the house each week. Oh yes, I agree. I almost always have one in use around the house somewhere. The inkpots decorating your open days sound gorgeous. I wish I could come and see them! I must make my way down there one day, especially as I have friends living nearby. The rose is so sweet, and your photography always lovely, as Cathy mentions above. Simply lovely! Thank you for your nice comment Cathy. I really love this arrangement – another one for a greetings card! And what I can’t get over is how you seem to have so many lovely different bibelots which pop up each week and yet your photos never look cluttered. Where do you keep them all?! We seem to have the same thought jenhumm116, that many of these photos would be lovely as a card or a framed picture. And yes – storage for bibelots! Big question! Well, there’s a new word for me. I had to look up ‘bibelots’! I do move them around quite a lot, and swap them in and out. My husband would probably say I have too many though. I have something like that – but had no idea it once held ink. I’m almost certain that’s what it is, and no one has corrected me yet! These buds are very pretty and all the more precious at this time of year. I hope the plant will thrive in it’s new home. Thank you – yes, rosebuds in November are such a treat. I hope the roses survive in their new home too as I am very fond of them and kept saying ‘Sorry sorry sorry’ to them as I yanked up their poor roots! Thank you Cathy – very fond of my little birdcage tea light as my lovely mother-in-law gave them to me as a gift.